It’s a great British picture, rolling green fields, fresh crisp air and cows grazing beneath clear skies. This is what most people associate farming with and for the most part, this is true! 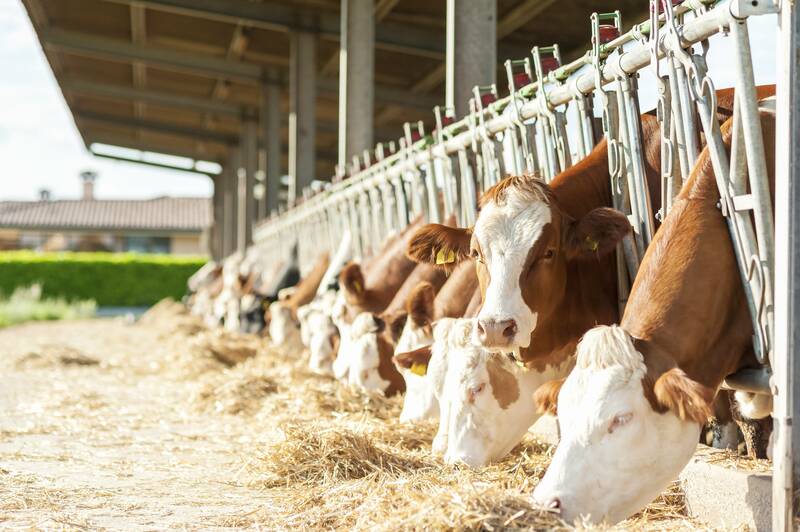 However, on some occasions, cows and other animals can develop problems which are caused by poorly prepared sawdust and animal bedding. Cows in particular can develop udder abrasions and nasty infections which can disrupt their milk production. At P.H. Winterton & Son however, we have a solution, our popular Agri-dust which is perfect for use as cubicle bedding in Derbyshire and surrounding areas! Why Choose Agri-Dust as Cubicle Bedding in Derbyshire? Today, Agri-dust is becoming increasingly popular as farmers across the UK are using it as cubicle bedding. At P.H. Winteron & Son, we pride ourselves on supplying high quality agri-dust which has a range of benefits that make it the perfect choice for cubicle bedding in Derbyshire and surrounding areas. Below are the key reasons for why you should make the switch to using our Agri-Dust for your cubicle bedding! Every batch of our Agri-dust is screened to 3mm or less, minimising the risk of abrasions to udders. This also minimises the risk of mastitis infections developing. This alone makes our agri-dust a perfect choice for cubicle bedding in Derbyshire as it ensures that your cows are healthy and comfortable which in turn, leads to healthy, regular milk production. Our agri-dust also contains NO harmful substances such as MDF which cause a number of health problems for livestock. Agri-dust from P.H. Winterton is also 100% kiln dried, making it highly absorbent. The high absorbency makes it a perfect choice for cubicle bedding in Derbyshire as it guarantees a hygienic environment for your livestock. Finally, the bedding is also easy to dispense through spreaders, which means that cleaning out your livestock is easy and quick! If you would like to purchase argi dust for cubicle bedding in Derbyshire, please do not hesitate to contact us! A member of our team will be more than happy to help you with your order. Our Agri-dust is available in pre packed 20-21kg bales for easy storage.